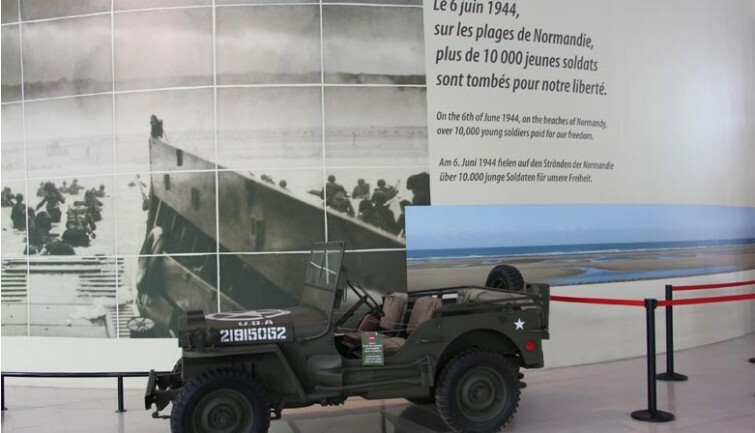 Set off on a small group tour (maximum 8 participants) from Paris, visiting the iconic sites of the Normandy D-Day Landings in the company of a driver-guide. On 6 June 1944, also known as D-Day, the Allies opened up a new front against the troops of Germany’s Third Reich. It was the largest military operation in history, which marked the start of the Battle of Normandy and would eventually lead to the end of the Second World War. More than 150,000 soldiers from America, Britain, Canada, and many other different nations landed by air and sea on a number of beaches along the Normandy coastline (Utah, Omaha, etc.) as well as at the Pointe du Hoc. 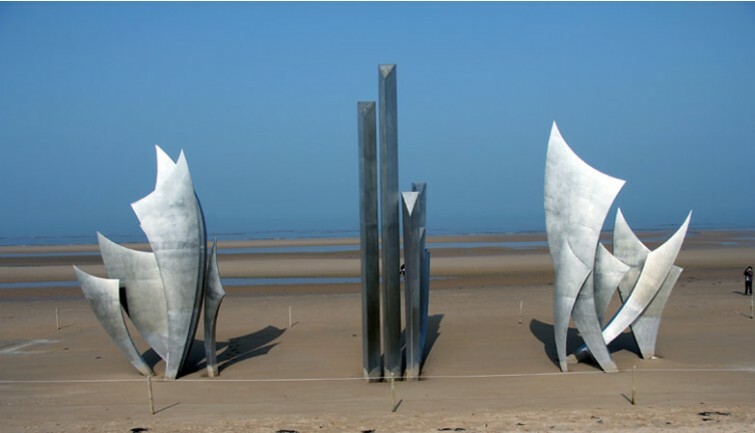 Pick up at your Paris accommodation at 6:30 a.m. for a minibus journey of around three hours to the Normandy Beaches. Your first stop will be at the Pointe du Hoc, between Omaha and Utah beaches, overlooking the hundred-foot-high cliffs. 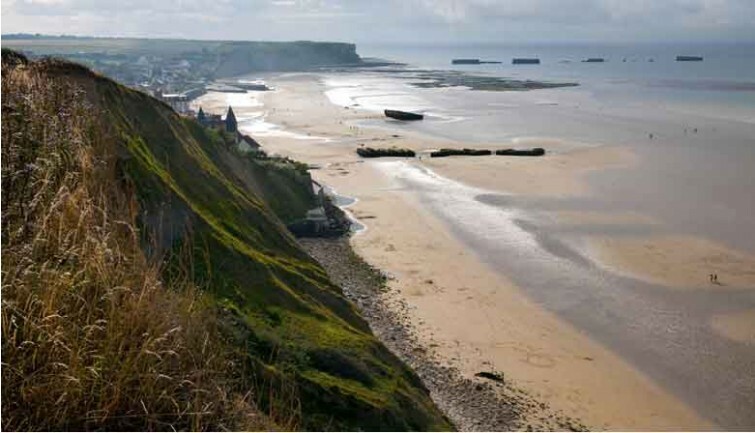 Stormed by the American Rangers on D-Day, it was one of the most important German fortified sites along the Normandy coastline and was equipped, at that time, with several heavy artillery posts. A 45-minute guided tour is scheduled. Your next stop will be Omaha Beach (nicknamed “The Beach of Blood”). Of all the Allied beaches, it saw the greatest number of casualties. It is located beneath the 170-acre Colleville cemetery, the next destination on your tour. 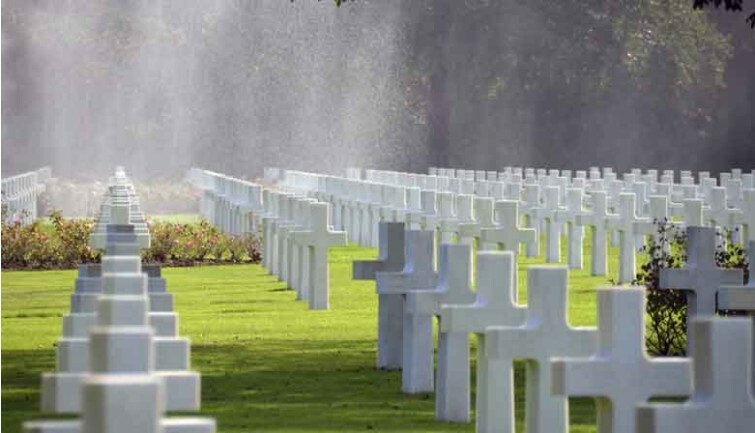 The famous American military cemetery at Saint Laurent is home to 9,387 white marble headstones, a memorial, chapel, and the Garden of the Missing. 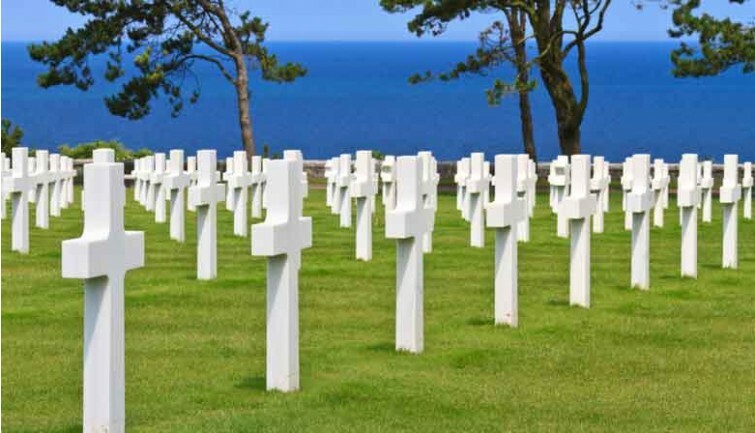 It pays tribute to the American soldiers that died during the Battle of Normandy and is one of 25 permanent United States burial sites overseas. 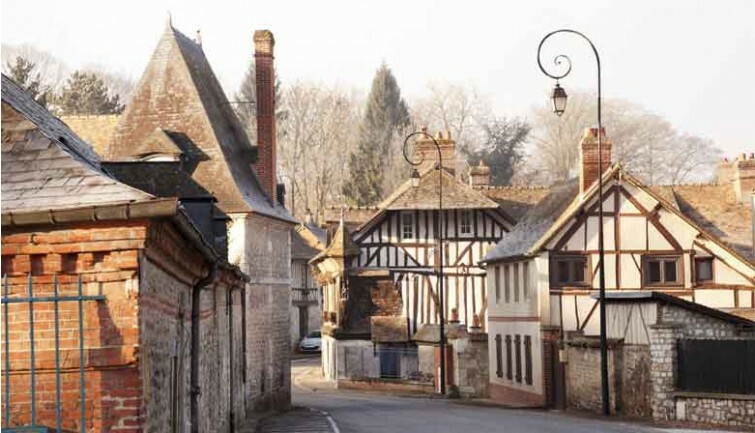 You will then stop for an included lunch at the Ferme de la Rançonnière, a picturesque manor house fortified during the 13th Century. 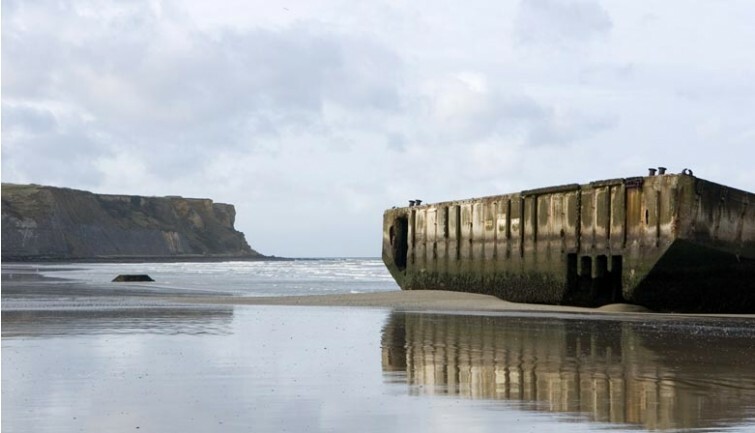 After lunch, you will continue on to Arromanches, a historic town known for its artificial port, which was built as part of the Normandy landings. On D-Day, the harbour saw the unloading of almost 10,000 tons of equipment. You can still see the floating reinforced concrete “Phoenix” constructions in the water. Return to your Paris accommodation is scheduled for approximately 6:30 pm. * Return to your Paris accommodation is scheduled for around 9:30 pm.